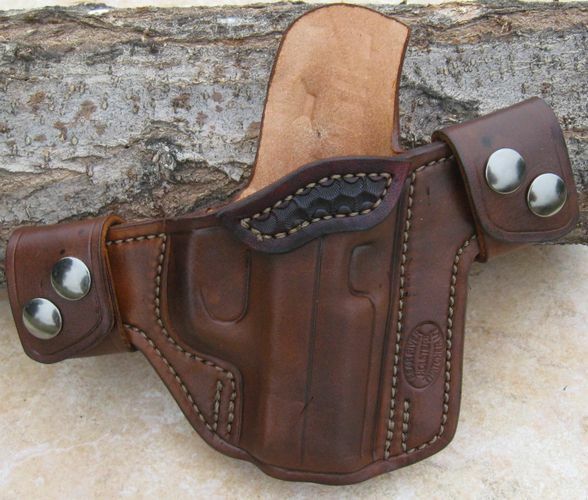 $70 This pancake style on-the-waistband holster offers secure, comfortable carry and concealment under a cover garment. $75. 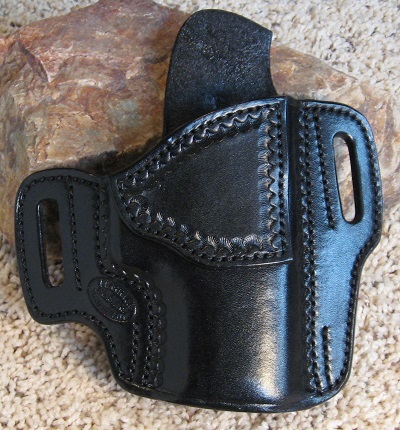 This in-the-waistband holster offers excellent concealment and secure carry. 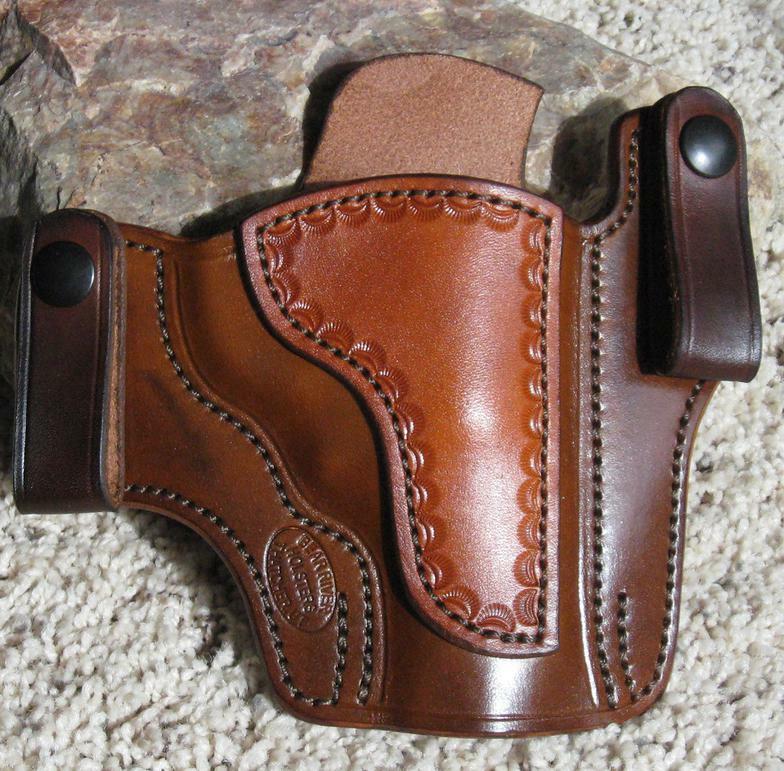 With a wide body for stability on the belt, this holster wears well. Mouth reinforcement included. 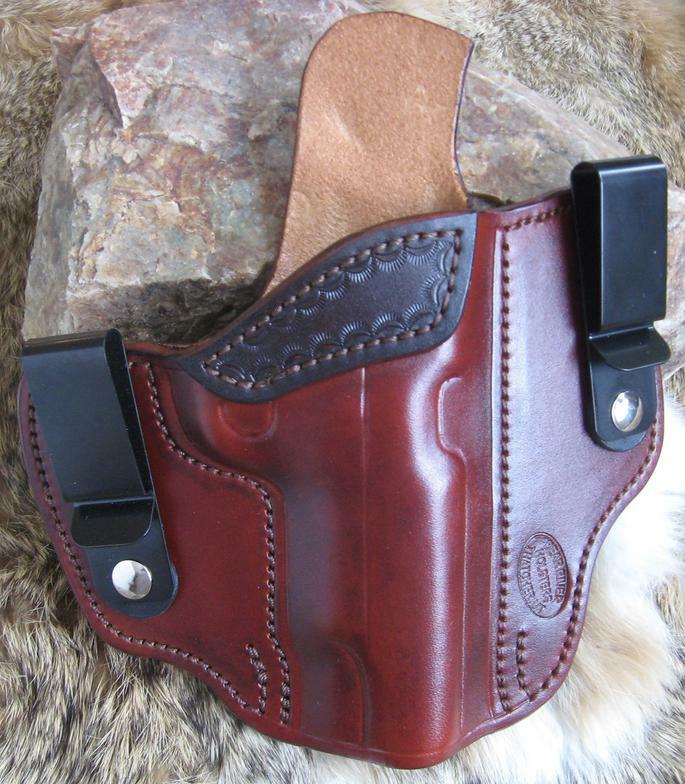 $75 The snap on feature lets you put this holster on or take it off without needing to remove your belt. Comes with sweat shield. Now making holsters for the M&P Shield, Bodyguard .380, Kahr CM9, Kahr PM9, Kimber Ultra Carry, Springfield EMP, Ruger SP101, S&W Mod 60, Ruger Sr22 and Ruger LC9 with Crimson Trace or Lasermax laser. $75. This tuckable IWB is comfortable and really conceals well. It can also be used for Appendix carry and is available with a forward cant. Mouth reinforcement included. $75. This Clip on tuckable IWB has two points of contact for stability on the belt. Mouth reinforcement included. Color is cherry chocolate.